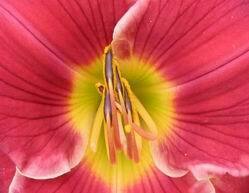 America is the land of awards and honors, in any case for the daylily. For getting an award there are a lot of rules. The first you can get is HONORABLE MENTION. 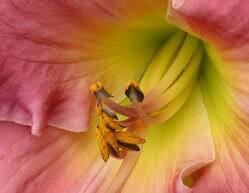 A daylily can be nominated three years after its registering. A large number of garden judges, educated by the AHS, choose the best and nominate the particular plants. If a daylily receives a nomination from 15 judges who come from at least four regions it can get the HONORABLE MENTION. All plants that have received the HONORABLE MENTION are three years after obtaining that nominated for the next award, the AWARD OF MERIT. In this case the garden judges go also along the gardens to look at the nominated flowers. Of all these nominations twelve cultivars with the most nominations of at least half of the regions get the AWARD OF MERIT. This award is very honorable, just a few cultivars are getting this award. On the website of the AHS www.daylilies.org you can find all the past winners on AWARDS AND HONORS. In Europe there are not that many awards. The European Society has since 1997 his own Stout Silver Medal, called the WATERMAN AWARD The Dutch/Belgium hemerocallis society has it’s HEMEROCALLIS OF THE YEAR. In the descriptions in the Photo albums you can find the awards and honors of the particular plant.